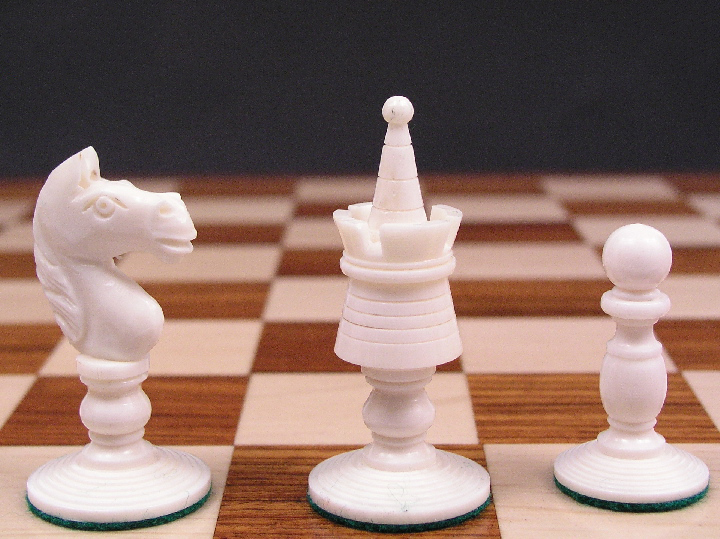 This product from Chess Baron: One of the recognised designs of chess sets by John Calvert - slightly weighted as the genre demands. 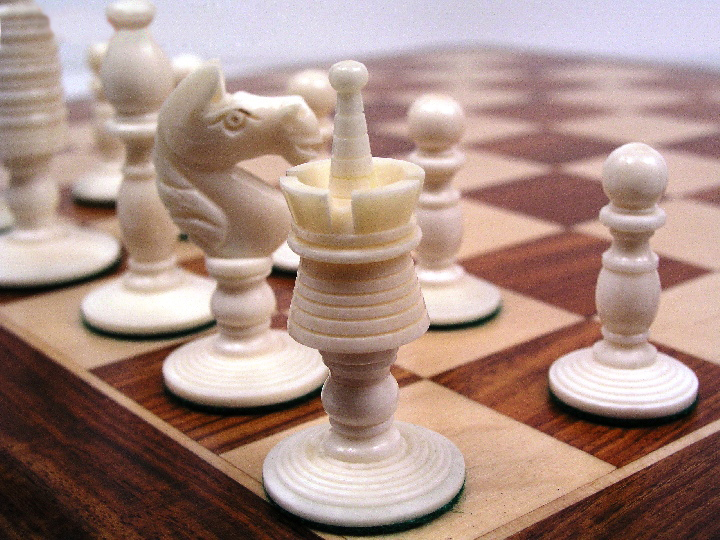 A beautiful bone chess set, a wonderful example of period chess sets. 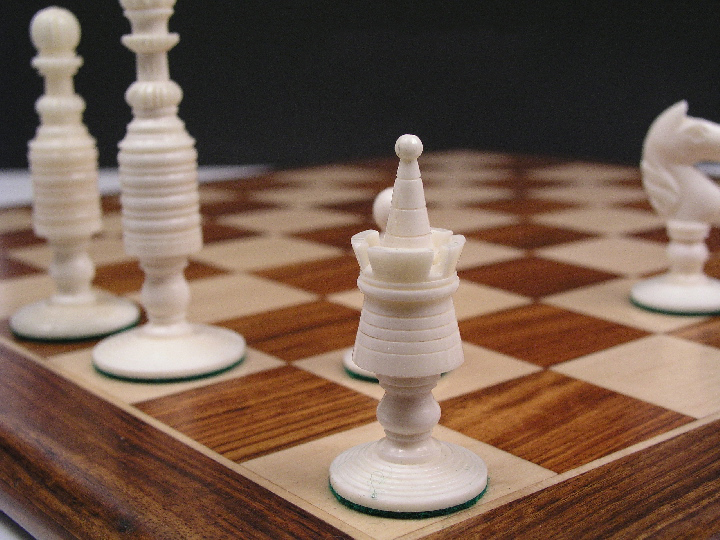 This is a bone reproduction, and comes with the love and care of modern day artisans. 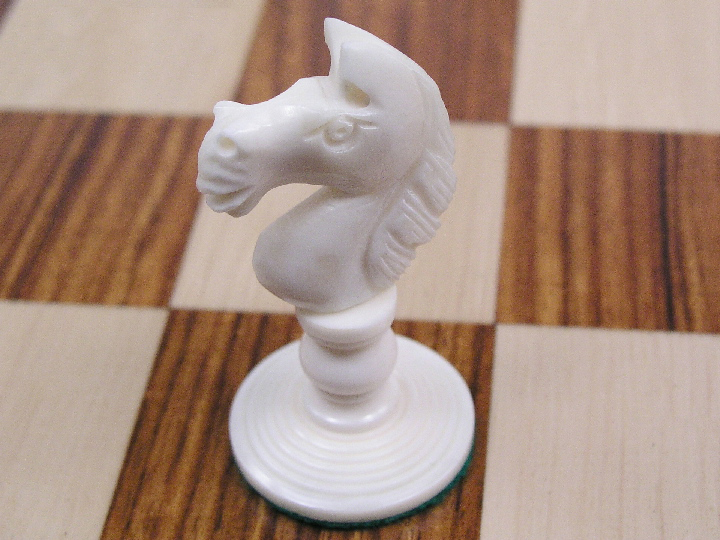 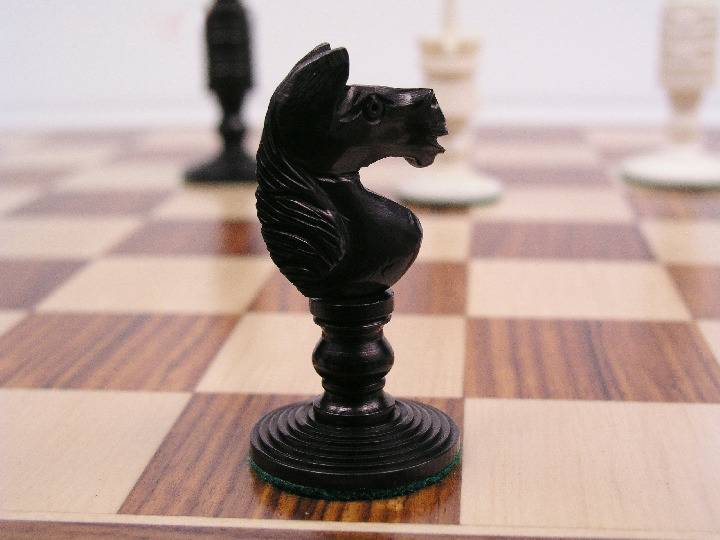 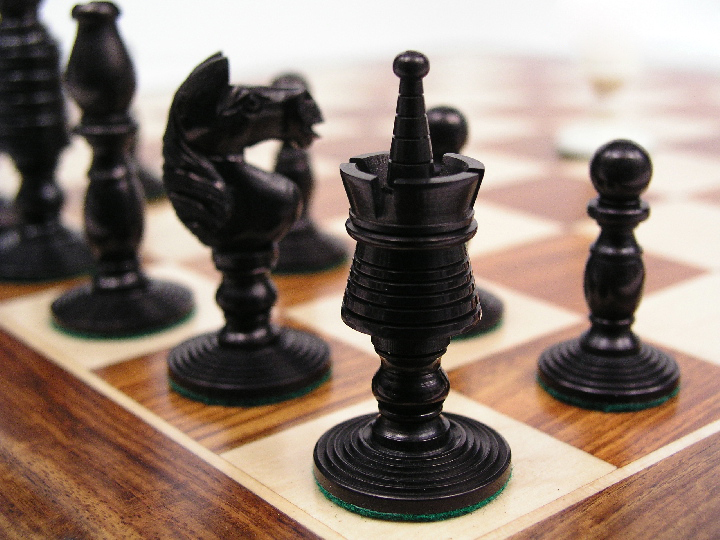 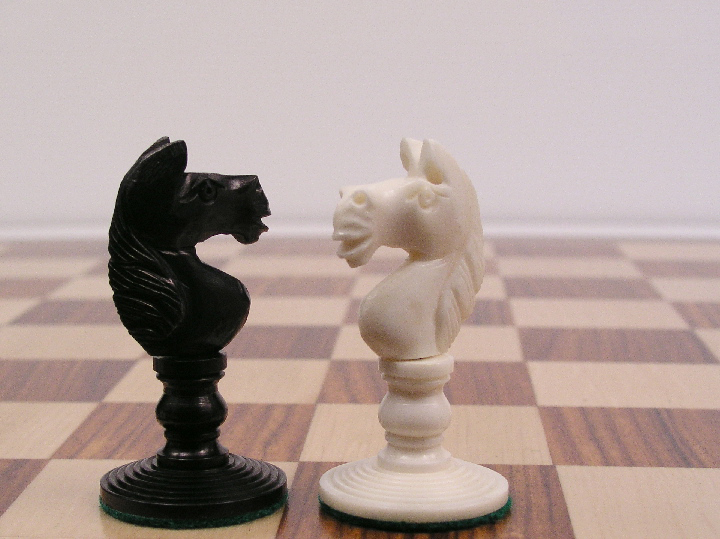 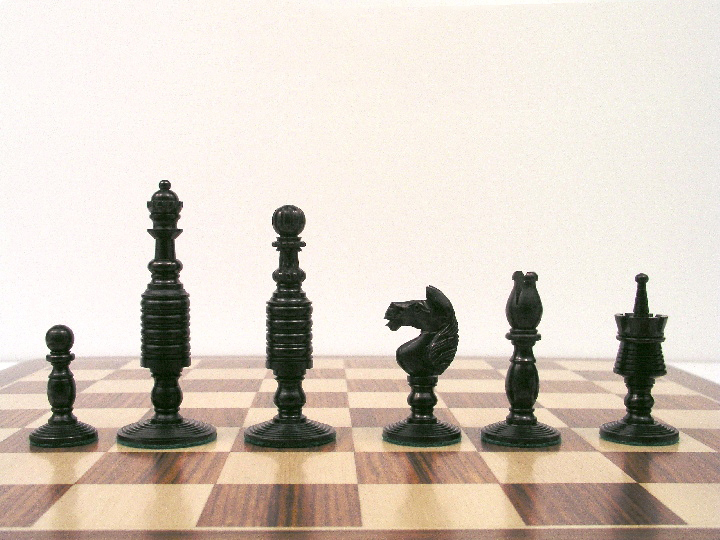 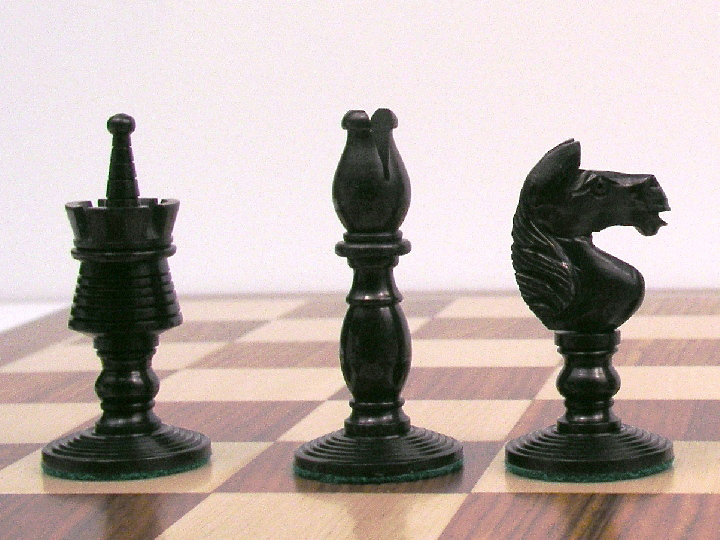 The set is a bold departure from todays standard staunton design of chess sets and very distinctive. 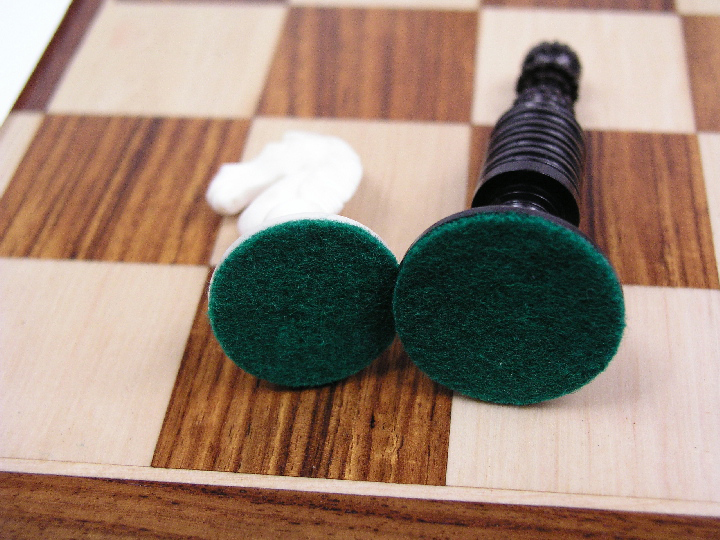 If you need a board, try the B2008 with 1.75 inch squares.